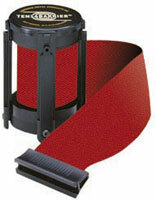 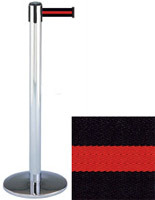 These chrome stanchions with retractable maroon belt are ideal for forming service lines and separate areas for dining. 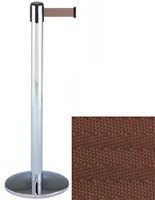 Each of the posts is made of durable metal with a sleek polished finish that will give any room an upscale appearance. 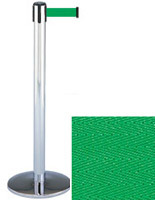 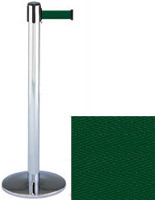 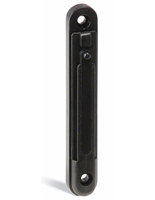 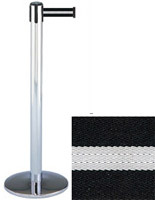 The chrome stanchions with maroon belt have a simple design with a 4-way adapter on top that allows three other poles to connect to them. In addition, the posts have a round weighted base that gives them extra stability in high traffic areas. 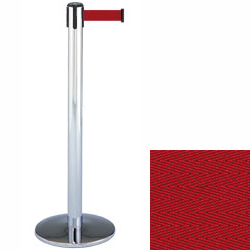 The chrome stanchions are a great choice for restaurants, retail stores and event venues where they can organize crowds and send customers in the right direction.